A graduate programme across Europe empowers the next generation of Christians as their start their professional life. Despite how much effort and time is spent in student ministry, we often forget what happens after university with these young graduates. They are “sent into the world” and student ministry staffs commend them into the hands of their churches hoping that their fire for Christ is not going to be extinguished too soon. The reality, however, is that they are often sent into very difficult jobs and situations, where it is not always easy to live to their faith values and where they finally tend to separate secular from sacred, leaving their faith for Sundays. 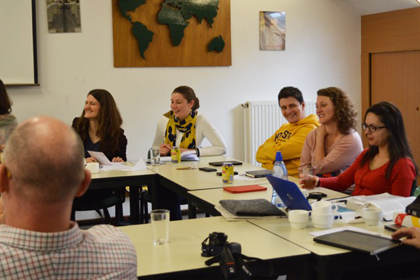 Some three years ago, IFES Europe launched a programme called Cross-Current that aimed to empower young graduates to be ambassadors of Christ in their workplace. “Cross-Current is a programme to help nurture and developing the emerging generation of young Christian adults as they start their working life”, explains Tim Vickers who is in charge of IFES Graduate Impact. “There is a need to enact the compassion and grace of God in our societies and for this we need to help graduates taking lifelong commitment”. The course is a discipleship and mentoring training, spread along three years, two weekends a year and divided among professions; it started with a group of law graduates, a group of economists and a group of educators… One or two mentors, committed Christians with experience in their profession, are mentoring 12 to 16 young graduates over those three years. The purpose is to build solid relationships between them, as well as grounding the faith in the Bible and encouraging them to be witnesses of Christ wherever they are from Monday to Friday. 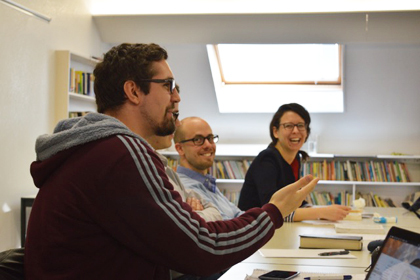 “I think it is a good combination of a Christian programme focused on our relationship with God and our professional life”, explains Veronika Šumová, who works in the European Commission and is a participant of the politics group that started recently in November in Berlin. 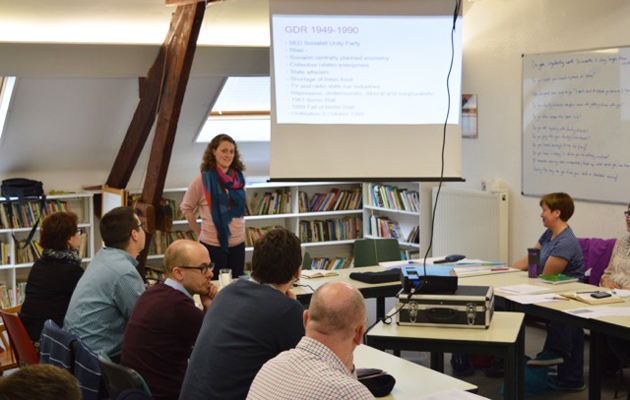 The politics group gathered for the second time in Brussels this past weekend and it is their second time together. “Cross-Currents is not only a conference or theory”, tells Andrew Gnidets, a law adviser in the Ukrainian Parliament, “but it is also relationships and sharing ideas”. Apart from discussing broader topics such as rest and family, worldview or relationships at work, the politics group has been studying David in the Bible and what they can learn from him. “It is ok to make mistakes, the question is how you handle them and how they make you grow with God’s help”, explains Corinna Geissler, a research assistant in an international organization. “I admire his honesty: to be able to say what he thought about God without being ashamed of it”, adds Veronika Šumová. Some groups have reached the end of their program and are looking into ways of spreading the program. The economics one finished last November and the participants decided to start an annual conference called Biblenomics. Other groups are in project, like a psychologist’s one. Finally, they are looking for ways to start a Cross-Current City, which would gather graduates from the same city. There is one starting in a city in the Caucasus region.